Most Bay Area hikers pass right by without ever noticing, but a careful eye can spot tiny towers rising up from the forest floor. These mysterious little tubes, barely an inch high, are the homes of a particularly sneaky predator — the California turret spider. Turret spiders build their towers along creekbeds and under fallen trees in forested areas throughout Central and Northern California. They use whatever mud, moss, bark and leaves they can find nearby, making their turrets extremely well camouflaged. They line the inside of their tiny castles with pearly white silk, which makes the structure supple and resilient. Each turret leads down to a burrow that can extend 6 inches underground. The spiders spend their days down there in the dark, protected from the sun and predators. As night falls, they climb up to the entrance of the turrets to wait for unsuspecting prey, like beetles, to happen by. Turret spiders are ambush hunters. While remaining hidden inside their turrets, they’re able to sense the vibrations created by their prey’s footsteps. That’s when the turret spider strikes, busting out of the hollow tower like an eight-legged jack-in-the-box. With lightning speed the spider swings its fangs down like daggers, injecting venom into its prey before dragging it down into the burrow. “It’s like the scene in a horror movie where the monster appears out of nowhere — you can’t not jump,” Pearce said. But human footsteps and loud voices are enough to scare turret spiders into retreating down into their burrows. So it takes patience to get a glimpse of one in action. Turret spiders belong to a group called mygalomorphs, along with their more famous relatives, such as tarantulas. While most spiders build webs to ensnare their prey, mygalomorphs tend to live underground. They have large fangs that point down instead of pinching together from the sides, like most spiders. 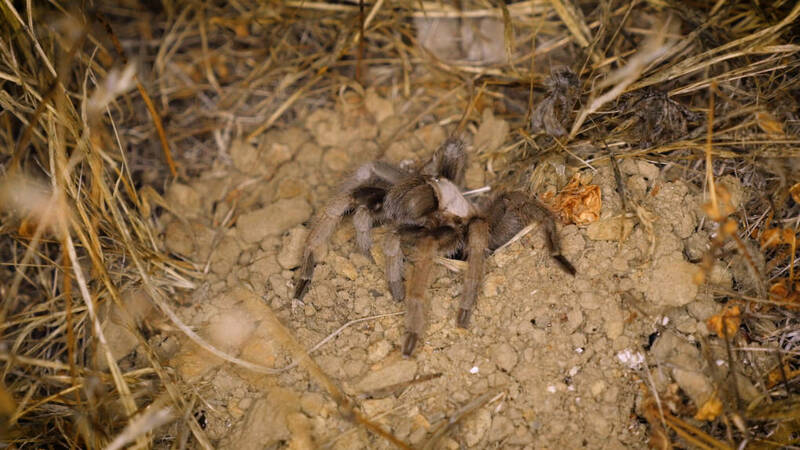 Different mygalomorph spiders can be found all over the world, but it turns out California is a bit of a hot spot. 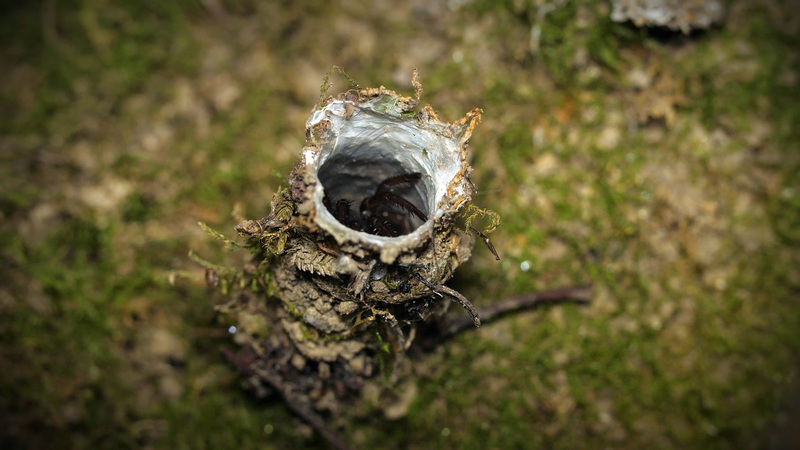 While tarantulas and trapdoor spiders tend to get more attention, turret spiders have captured the interest of James Starrett, a researcher from UC Davis. Starrett scours the state, comparing the genetics of different populations of turret spiders throughout their range. He works with his colleague, Marshal Hedin of San Diego State University, to better understand how the changing environment might have shaped how they evolved in California. Starrett has become an expert in finding the well-hidden turrets. He explains that turret spiders are long-lived. Females may stay in the same burrow for up to 16 years. In the fall, mature male spiders venture out from their burrows in search of mates. It’s a risky endeavor to approach an agreeable female spider without falling victim to an ambush. Males typically die after mating. The females eventually lay eggs inside their burrows. 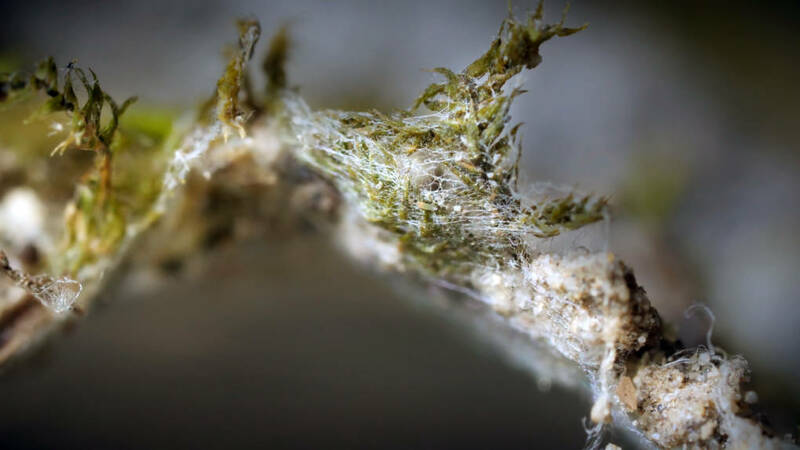 In the next few months, as winter and spring rains saturate California forests, the turret spiderlings will hatch and venture out from their mother’s turret. They usually dig their own individual burrows close by, so it’s common to find a large turret surrounded by several smaller ones.